Home News The problem you must know in Chip experiment ! 1. Do you knowthe difference between Immune precipitation process agarose beads and magneticbeads, which kind of Beads better? Agarose beadshave the advantage of being inexpensive in the early literature, because ofinexpensive, but they were centrifuged for a long time, and the beads couldbreak during centrifugation. Sepharose beads have non-specific binding andtherefore require "pre-washing" of chromatin to remove proteins orDNA that may not specifically bind to protein G-agarose. Also, thestratification is not obvious; the sample is easy to lose. The currentmainstream method is the beaded method, the advantage of beads is the samplewithout centrifugation; the operation time is short, the other bead surface issmooth, the background is low, so no need to close. Another advantage ofmagnetic beads is colour, layered clear, the sample will not be lost, but themagnetic beads need to be a magnetic frame. 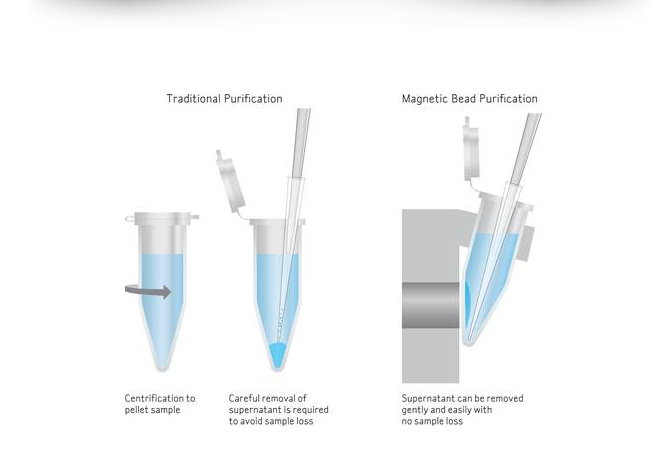 Therefore, immunoprecipitation isthe recommended method of selection of magnetic beads. 2: When immunoprecipitation, sample, antibodyand bead loading and reaction sequence on the experimental results have anyeffect? Is there any requirement? 3.Chromatinsample + antibody + magnetic beads three simultaneous reactions. Whichever beadyou choose, the order in using beads or agarose beads may affect your ChIPsignal. The first methodinvolves incubating the beads with the capture antibody (hours at roomtemperature or overnight at 4 ° C), followed by the addition of chromatin(sample) and continued incubation (1 hour to overnight at 4 ° C with shaking).Increasing the incubation time is likely to increase background and ChIPsignal; however, antibodies with low affinity to the target did not producesignificant ChIP signals even after prolonged (overnight) incubation. In the secondmethod, the antibody and the chromatin sample are incubated together first, andthen adding the microbeads can also obtain the result similar to the firstreaction sequence, which can perform the immunoprecipitation well. However, itis not advisable to add these three components simultaneously forimmunoprecipitation. Experiments have shown that the simultaneous addition ofthe three elements reduces the time required to carry out the entire reaction,but results are inferior to those of the above two methods.